How to implement on different clients and websites? If you are an agency and want to use Novocall for your multiple clients, you are able to do so. You can set up different dedicated widgets for each company and website, with their own separate dashboards and analytics. 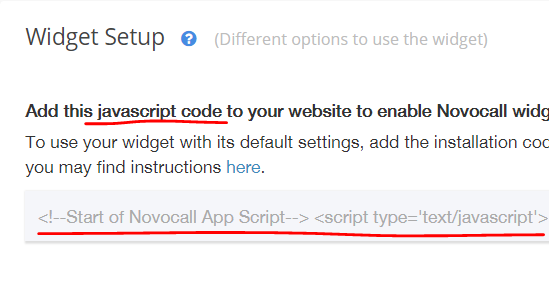 If you're here, you probably have gotten started with Novocall and know how to set up your widget, call reps, and install it on your or your client's website. This will allow each of your widgets to display different names, which means you can use it for different websites and different clients. You can find the guide here. Customize a different name for your second widget. Copy the installation code (it's different for each widget) and paste it in the second domain.